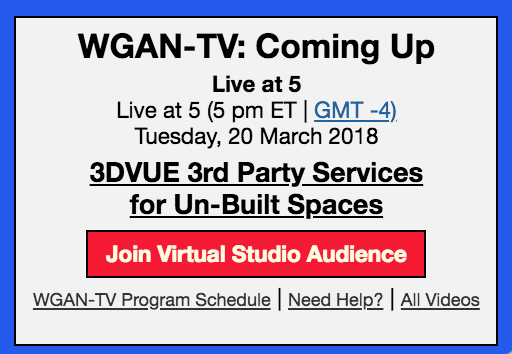 ✓ Tuesday, 20 March - 3DVUE 3rd Party Services for Un-Built Spaces with 3DVUE Director Amreet Gill. ✓ Friday, 23 March - Office Hours with WGAN Founder Dan Smigrod. Pop-in to chat! ✓ Wed, 7, 28 March - Office Hours with WGAN Founder Dan Smigrod. Pop-in to chat!